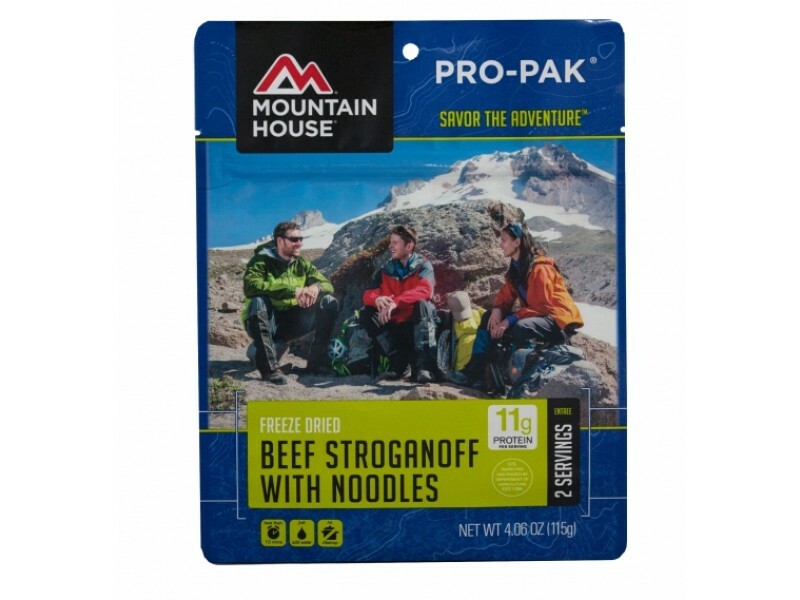 This beef stroganoff pro pack from Mountain House is one of the best emergency food rations on the market today. It comes with all the important factors people are looking for in this type of product, including great taste, healthy recipe and the fact that it will last for years on the shelf without a problem. In addition, it is extremely easy to prepare in just about any situation. Stock up on this great food today, so you have it available to you whenever you need it. 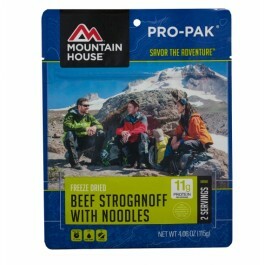 Beef stroganoff from Mountain House is made with high quality beef, mushrooms and noodles. All of this is mixed in with a great tasting, rich sour cream sauce that really completes this dish well. 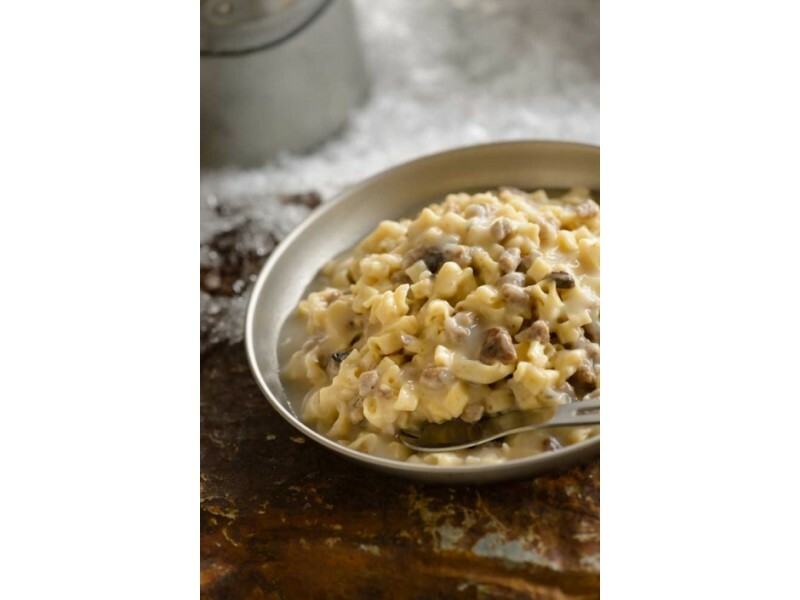 If you love beef stroganoff, this is an excellent option to add to your emergency food storage program. It will provide you with a great tasting meal that also provides a wide range of important vitamins, minerals and other nutrients to keep you feeling full and strong. 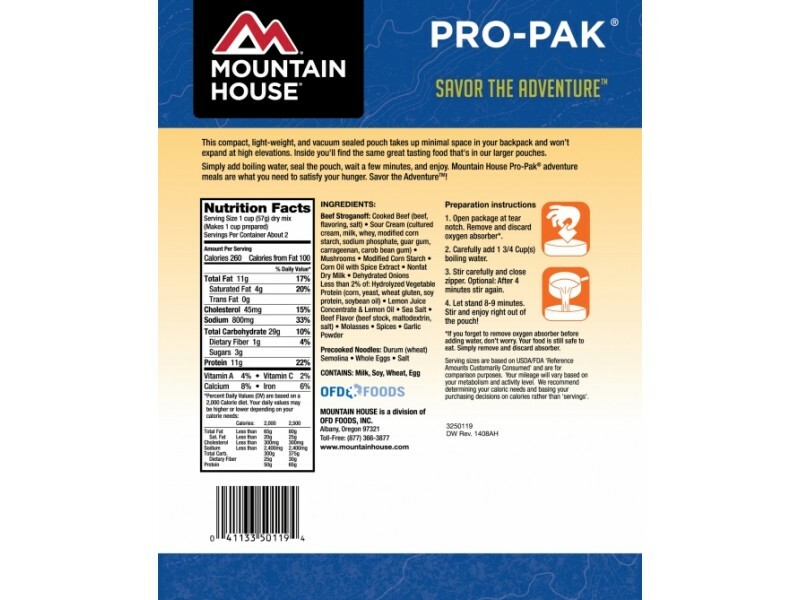 The pouch also keeps the food safe so it will last for 10+ years on the shelf without going bad. Each pouch contains two servings of one cup each. Each serving will provide you with 10 grams of protein and many other important nutrients to keep you healthy. With just one pouch you can provide a great meal for two people, or even use it as a side dish for the whole family. There are many different situations where you can use this great meal, including after a weather emergency or any other disaster. It is also great for taking with you camping or traveling, so you know you will have the food you need.